On Nov. 9, 2015, Colley’s body was discovered in her North Salem home by a caretaker who worked on the 300-acre estate. She died from blunt force trauma. Police discovered a pin from a fire extinguisher next to Colley’s body. A few days later, the extinguisher was recovered in a pond on the property. It was wrapped in a plastic bag and had Colley’s DNA on it. 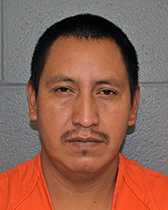 During the investigation, the New York State Police developed the defendant as a suspect and learned that he had already fled to Guatamala just days after the killing. Evidence was brought before a Westchester Grand Jury who voted to indict Gomez for Murder in the Second Degree. He was later located in Mexico. Gomez was produced before the Honorable Barbara Zambelli today for arraignment on the indictment. Gomez pled not guilty and was remanded. His next court date is Dec. 7, 2017, and he faces twenty-five years to life in state prison. Assistant District Attorneys Julia Cornachio and James Bavero of the Superior Court Trial Division are prosecuting the case.